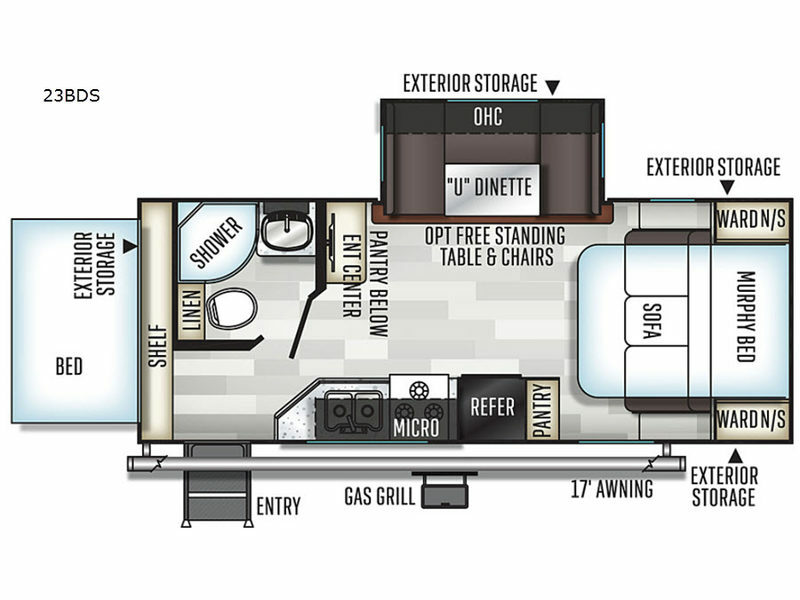 If you have been dreaming about camping above ground with your family, take a look at this expandable. 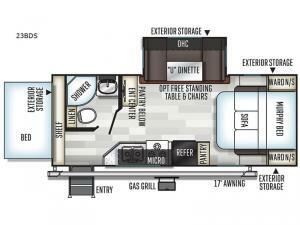 You can sleep on a rear tent end bed, or a Murphy bed up front, and a U-shaped dinette slide out if you need more space. There is also a sofa during the daytime when you have placed the Murphy bed back into its wall space. You will find his and her wardrobes, two pantries, and linen storage in the full bathroom, plus exterior storage for all your camping items. The chef can choose to cook inside with all the amenities or outside on the gas grill. Step inside today! The Forest River Rockwood Roo is exactly what you should take a look at when searching for the ideal expandable. There is built in value in each model allowing your investment to go a long way! You will enjoy the radius roof with interior vaulted ceilings, the solid wood cabinet doors and drawer fronts, the residential full extension metal drawer guides, all the appliances necessary to make meals on the go, the bed cable system with no poles, and the WiFi Ranger WiFi Booster to mention a few reason you will love any expandable you choose!